If simplicity is your style mantra, then consider opting for this shirt from the house of Indian Terrain. 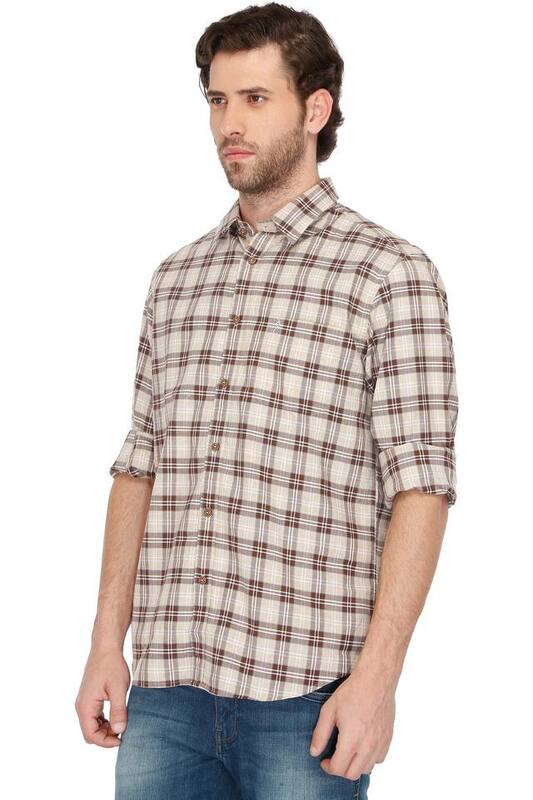 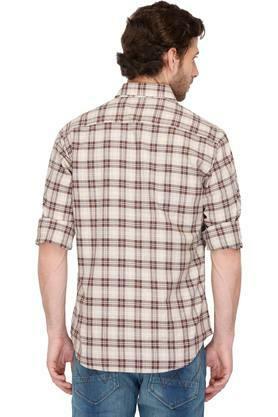 Featuring a check pattern, it also has full sleeves that can be rolled up for a distinct look. Besides, it has been made of a fine quality cotton fabric that will keep you at ease for long hours. 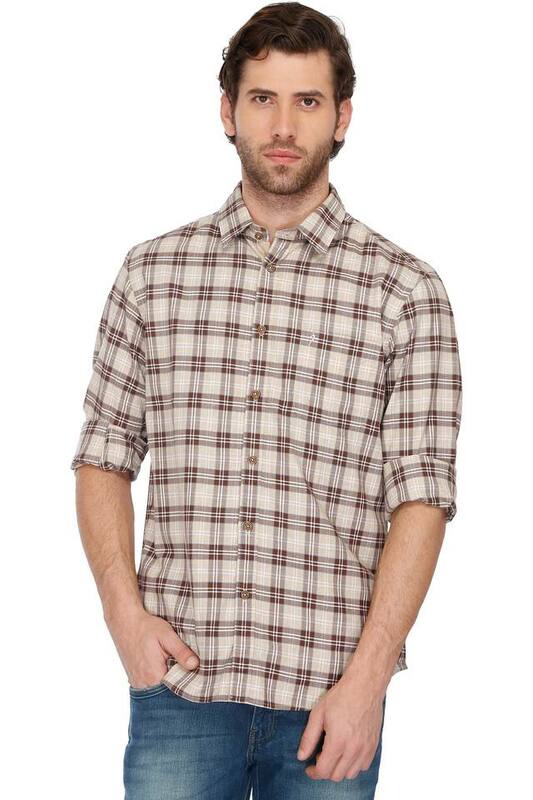 Look smart by wearing this slim fit shirt for any casual occasion. 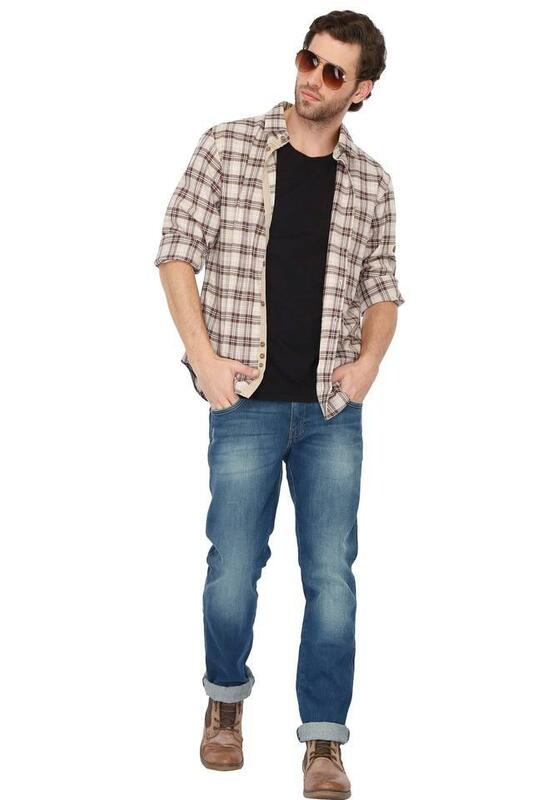 You can team it with a pair of chinos and lace up shoes to walk in style.